Seems there's something in the water at the Cyrus household. Just weeks after reports surfaced that Miley Cyrus and Liam Hemsworth had ended their relationship (and just days after Cyrus fueled rumors that the duo was back together after being seen with her engagement ring), the singer's mother, Tish Cyrus, filed for divorce from Billy Ray Cyrus. Though it's a Hollywood marriage, it's still a shocking split — the couple had been together for 19 years and have five children together. (In court papers, Tish has requested full custody of Noah Cyrus, the only minor remaining in the family.) Still, don't be surprised if the duo reconcile — after all, they tried to part ways once before. 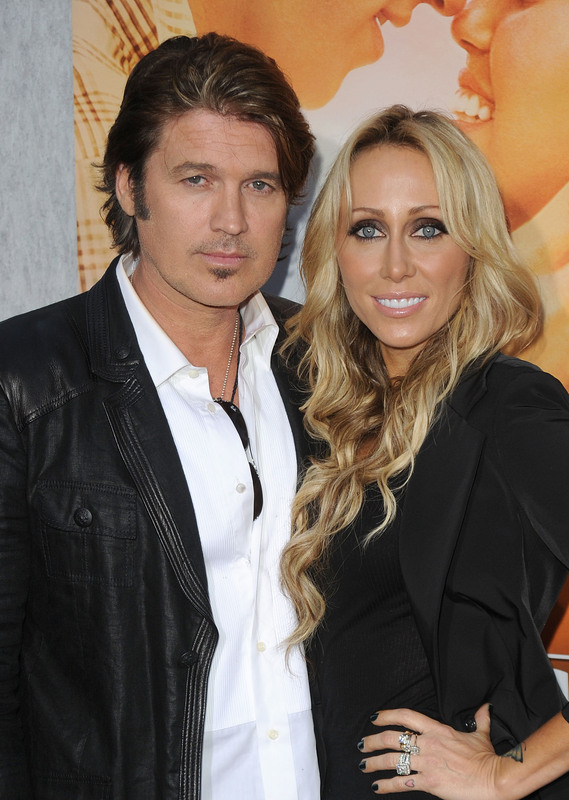 Billy Ray filed for divorce back in 2010, but called it off just one year later. No word if anyone has told Billy Ray's heart of the matter.